Urban living at it's best. 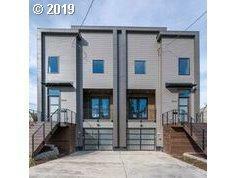 New NW Contemporary w/ lower level ADU. Perfect for rental income, nanny/in-laws, live work or include w/ main house! Custom finishes throughout featuring open layout, windows galore, 2 covered decks, outdoor fireplace & so much more. Fabulous location, walk to all the hot spots. It's a must see, call your agents! Agent owned.